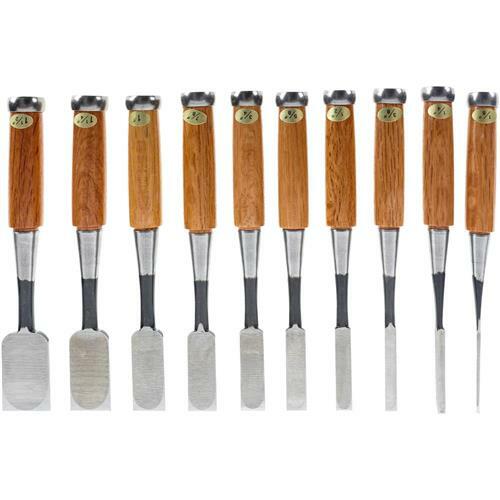 These hand finished, well balanced chisels feature laminated steel blades, hardwood socket type handles and solid steel ring ferrules for years of dependable use. The steel used in these chisel blades is made from a very hard, high carbon alloy, so hardness is Rockwell 63° ± 2! First let me say that these chisels are metric not imperial as advertised. The hoops need to be removed, cleaned up and correctly installed. Lastly they could be used right away but will repay the time spent on 5000 and 8000 grit stones with some passes on a strop. 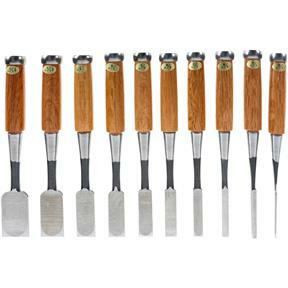 After this process you will be reaching for your new favorite chisels every time.